Right-click the class in the Project Explorer and select JPA Tools > Make Persistent. The Make Persistent dialog appears. 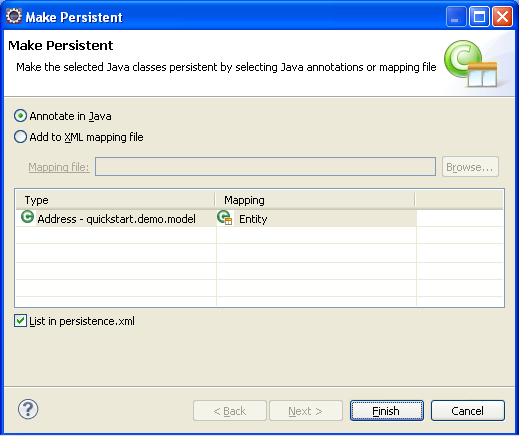 Complete the fields on the Make Persistent dialog, specify the persistence mapping for each class, and click Finish. Dali adds the necessary annotation or entry in the XML mapping file for the class.